For over 10 years, Ikelite's Nikon TTL conversion circuitry has remained the most accurate and fastest TTL exposure available for an underwater strobe. Let the camera adjust your Ikelite strobes while you focus on composition and enjoy the confidence of perfect exposure. This updated adapter provides accurate TTL exposure with all current model Nikon DSLR cameras released as of October 2015. The TTL Converter is equipped with a simple rotating switch that allows toggling between TTL and manual exposure. When in TTL mode, exposure compensation may be accessed via the camera's built-in menus. Proper operation and TTL exposure requires use of a current-model Ikelite DS strobe, see compatibility by serial number below. 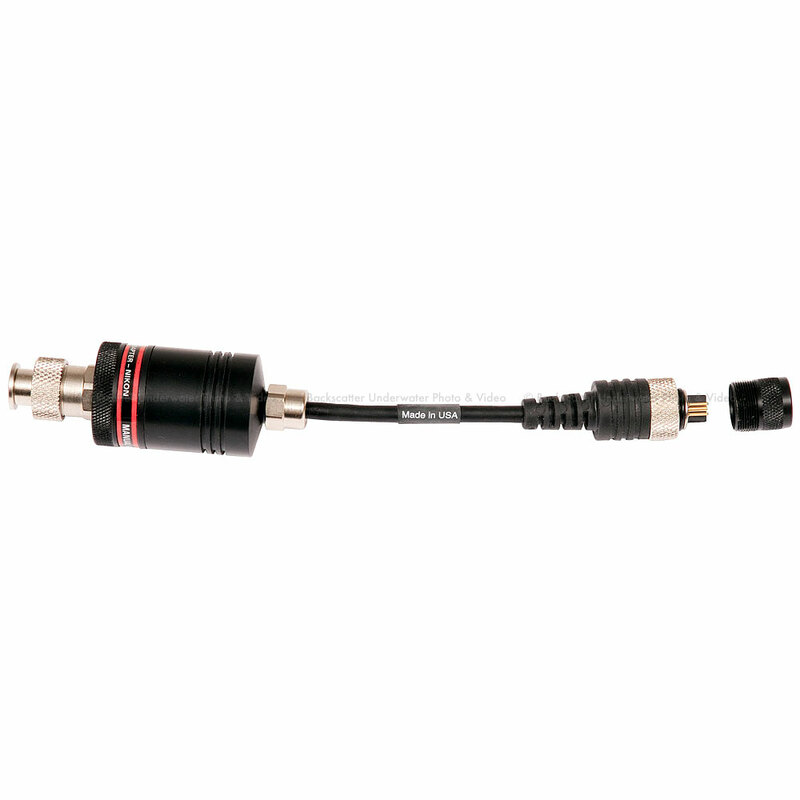 Use of this TTL Converter requires a Ikelite ICS-5 electrical bulkhead strobe connector and TTL hotshoe. If you are unsure whether your housing meets these requirements, please contact the housing manufacturer. Wiring diagrams for Ikelite and Nikonos-style connectors can be found here. One or two strobes may be connected to the Converter using an Ikelite-to-Ikelite single or dual sync cord. Use of two strobes requires a dual sync cord. Two strobes cannot be controlled by individual Converters even if the housing is equipped with two bulkhead connectors. TTL Converters are not usable with non-Ikelite strobes or non-DS Ikelite strobes. Due to hardware changes and risk of cord damage, Ikelite is unable to modify existing 4301, 4301.2, 4302, or 4302.2 Converters to the newest TTL protocol. Please also note that strobe serial number requirements differ from the original Nikon TTL Converter.